Wine Cabinets up to 265 Bottle Capacity. Free-standing or built-in on most models. Reversible door on most models. Seamless stainless steel trimmed door. No vibration - silent unit! Allow Cavavin to take care of your wines. At Rosehill Wine Cellars, we offer a variety of Cavavin’s top quality wine cabinets that will allow long term storage, and the full evolution of your finest vintage wines. Whether a Classika, Sobra, Urbania or Majestika, the wine cabinet of your choosing will allow your wine to be stored to professional standards - in terms of ideal temperature and humidity. As an established manufacturer, Cavavin wine cabinets and cellars are designed to ensure stable and controlled climate conditions for perfect wine aging. Looking for a sturdy classic wine cabinet? Choose from our wood Majestika or Urbania wine cabinets that all come in a variety of style and finish. Want that extra bit of gleam in your kitchen? Whether stand-alone or built-in, Cavavin’s Stainless Steel Majestika wine cabinets are the perfect choice. No matter if you’re looking for a small wine cooler to store a few bottles, or a larger wine cabinet that will become the showpiece of the room in which it’s stored, Cavavin wine cabinets are always a fantastic choice for style and reliability. The Sobra line is for the budget conscious or beginning collector who needs storage for up to 28 bottles. Classika - Beverage Centres and Wine Cabinets in pre-set sizes. The Urbania 149 & 160 are readily available, has many great features at a lower price point. Slide out shelves with wood trim, Stainless Steel framed Glass door, dual Temperature zones. Built in or stand alone. The Mini 30 & 46 are readily available, have many great features and can be Built in or stand alone. Slide out shelves with wood trim, Stainless Steel framed Glass door. Easily incorporated into existing cabinetry. 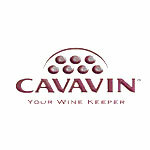 All Cavavin Wine Cabinets are readily available for shipment to destinations within the USA and Canada.